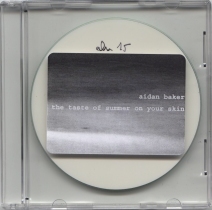 "the taste of summer on your skin"
I'm not sure Aidan Baker really needs an introduction. Also a member or the tribal-ambient trio Arc (remember "13th" we released some months ago), he has built an impressive discography in a few months, releasing his beautiful drone/ambient guitar-ish music on every interesting label (Mystery Sea, DTA, S'Agita or The Locus OF Assemblage to name but a few). Of course we couldn't not be part of (smile !). 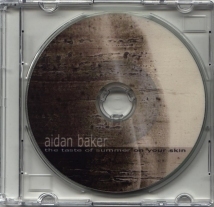 So here is "the taste of summer on your skin", "a melodic, shimmering multi-instrumental drone track" as Aidan describes it himself.